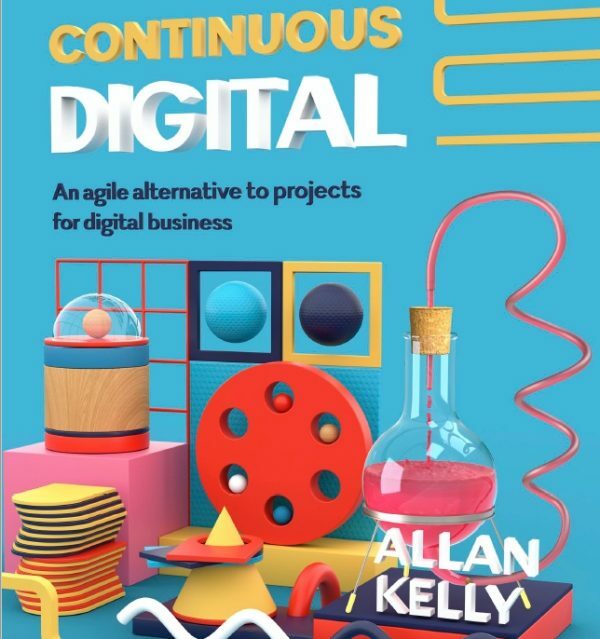 The goal of the Continuous Digital book is stated in its introduction “This book sets out to describe an alternative to the project model for developing software.” After explaining why an alternative is needed, Allan Kelly describes how the principles of value, team and money are handled in the new proposed approach. The book is well structured and easy to read. My favorite parts deal with two aspects rarely discussed in software development books: team sizing & staffing and the accounting of software item as investments or expenses (CapEx or OpEx). Even if the project model is still dominant (but many people define Scrum as a product development approach) and might be difficult to abandon in a large corporation, this book provides insightful material about the negative sides of this approach and is a valuable reading-time investment for every software development or project manager. Continuous is an alternative management model for digital businesses – a management model, a new way for managers to think about technology. This book sets out that model. Many practical men and women are today slaves to the project model of software development. The project model condemns many digital initiatives, programmers and companies to failure. Continuous offers an alternative. Unlike some in endeavours, the relationship between quality and time/cost is reversed in software development. Higher quality (code) is delivered faster and at a lower cost than low quality code which requires fixes and is hard to change. Ceasing development work on a software system is akin to abandoning work in an underground mine. When work ceases water and gas fill up the workings making it difficult, perhaps impossible, to reopen the mine. Planning is learning but doing is also learning, there is no cut-off point when learning ceases. The longer planning takes the later the doing will start and therefore learning from doing will be delayed. When planning there rapidly comes a point where more can be learned, more rapidly, by doing. Iterating between planning and doing is more valuable still. Interleaving planning and doing allows learning from doing to be fed into a later planning session, which themselves inform doing and so on. Teams which work together over time develop a camaraderie – a friendship, an empathy for each other. They share success, they share failure; a success for one is a success for all and when one has difficulty others will rally round to help. Building such camaraderie is part of the storming norming forming and performing process. But no amount of team building activities can substitute for years of shared experience, pain and joy. Hi Scrumexpert, Thanks for this informative post. Good luck, following your website.